Who would have thought a finance law could ignite such fervor, bringing thousands to the streets of Niamey and other cities of Niger in demonstrations for and against the national budget? Since October 2017, a coalition of civil society groups, opposition parties and labor unions have mobilized against Niger’s 2018 budget law which they label as “antisocial.” The 2018 budget extends taxation into the informal sector, including the transportation sector, and raises taxes on the trade and service sectors, among other measures. It also provides for reduced taxation of the mobile sector, notably by eliminating the tax on incoming international calls (TATTIE), which was a significant source of revenue (about 20 billion FCFA). The government of Niger was reportedly under pressure by the international mobile phone companies and the World Bank to eliminate the TATTIE which according to Minister of Finance Hassoumi Massaoudou is not applied in any other country member of the West African Economic and Monetary Union. The finance law was adopted in November 2017 without changes proposed by the opposition. Since then, there have been regular demonstrations against the 2018 budget, which have continued into 2018. Protesters argue the law affects the poor disproportionately, while favoring foreign firms. In early March, pro-government parties organized a massive counter demonstration in support of the budget and President Mahamadou Issoufou. The government argues the tax burden remains at its 2015-level and that the budget has no negative impact on the rural sector where 80% of Nigeriens live. Instead, according to the Minister of Finance, the 2018 budget seeks to extend taxation to the large informal sector in the urban areas that amounts for 59% of GDP. This budget battle is a product of and illustrates the significant external and internal pressures the government of Niger is facing. Insecurity is an existential threat, with terrorists infiltrating and attacking the country from neighboring Mali, Libya and Nigeria. Just this past week, three armed police officers (gendarmes) were killed in Goubé, at 40 km from the capital Niamey, by assailants crossing over the border from Mali. As a result of the regional insecurity, 15% of the national budget now goes to the security sector, while spending on public services such as education and access to clean water has had to be reduced proportionally. Falling prices on uranium and oil, Niger’s primary exports, have contributed to the country’s significant dependence on foreign aid which in turn limits the government’s policy options. At the same time, the government of President Issoufou faces a very determined opposition led by the largest opposition party, MODEN/FA Lumana. Lumana’s leader, former Prime Minister and former Speaker of the National Assembly Hama Amadou, is in self-imposed exile in France after being sentenced in absentia to a year in prison for child smuggling – a charge Hama Amadou and his supporters argue is politically motivated. The opposition is boycotting the newly reformed independent election commission where it has refused to take up the seats reserved for it. The opposition also stays away from meetings of the National Council for Political Dialogue (Conseil National pour le Dialogue Politique – CNDP), a forum under the auspices of the prime minister created to facilitate inter-party dialogue outside of parliament. Instead, as we’ve seen, the opposition is taking to the streets, forming an alliance with some of the largest civil society organizations of Niger. In a country with a rich history of military coups – the latest as recent as 2010 – and facing significant security threats, there is reason to worry about the apparent inability of government and opposition to engage in dialogue. In early March, after the pro-government counter demonstration, the Islamic Associations of Niger felt compelled to issue a statement condemning the marches for or against the 2018 finance law and calling on Nigerien elites to come together “to protect the sovereignty of the nation, social cohesion and to ensure sustainable development.” They also declared their availability to serve as mediators. The statement may have contributed to the civil society-opposition coalition calling off its plans for the organization of a “ghost town operation” (general strike) on March 15. However, the protesters against the finance law have maintained their call for a large manifestation on March 25. The situation in Niger merits greater attention than the country generally gets. An apparently banal budget battle could well degenerate. 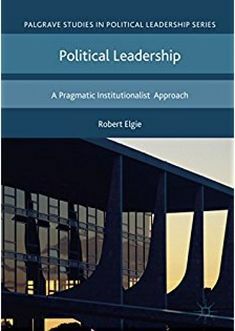 The use of the streets to demonstrate political muscle illustrates how polarized the situation is, and the inability of existing institutional fora to appropriately channel political dialogue. This entry was posted in Africa, Niger and tagged finance law, political polarization on March 19, 2018 by Sophia Moestrup. Within hours of being confirmed the winner of the March 20 presidential run-off, incumbent President Mahamadou Issofou invited the opposition to join a government of national unity. According to preliminary results released by the election commission (CENI), Issoufou won reelection with 92.5 percent of the vote against former chairman of the National Assembly Hama Amadou who garnered 7.5 percent. Voter turn-out was 59.8 percent according to the CENI – a figure challenged by the opposition that claims only 11 percent of voters turned out on election day. Issoufou’s overwhelming reelection was not exactly a surprise, after the opposition coalition COPA 2016 (Coalition for Alternation) backing challenger Hama Amadou called on its supporters to boycott the run-off. Issoufou had won 48.4 percent of the vote and Hama 17.8 percent in the February 21 first-round election [se previous blogpost analyzing election results here]. COPA 2016 had alleged an unlevel playing field and fraud in that election. However, once a run-off was announced, the 23 parties making up COPA 2016 stated they would participate and back their candidate, Hama Amadou. The days following the declaration of results from the first round were followed by intense maneuverings from both camps, trying to secure the support of unsuccessful candidates who didn’t make it to the run-off. Issoufou succeeded in getting the endorsement of Ibrahim Yacouba, his former deputy chief of staff who had broken ranks with the president’s PNDS party last year, as well as the support of a number of other first round candidates – totaling about a dozen percent of votes. In contrast, COPA 2016 was unsuccessful in rallying additional pledges behind its candidate, Hama Amadou. Hama Amadou did not withdraw from the race, but COPA 2016 called for voters to stay home and declared that the opposition would not recognize the results, complaining about unfair treatment of its candidate. Hama spent election day in a hospital in Paris, whereto he was taken days before the poll for treatment for an unspecified chronic illness. Hama left for hospital from his prison cell in Filingué where he has been awaiting trial in a case of alleged baby trafficking since November 2015; he and a number of other high-ranking Nigeriens stand accused of falsely claiming parenthood of children born to Nigerian women. Hama maintains the case is politically motivated and calls himself a political prisoner. This election has been tense and the campaigns virulent. President Issoufou and opposition leaders Hama Amadou, Mahamane Ousmane, Seyni Oumarou and Amadou Boubacar Cissé (the four who head COPA 2016) have all been active in politics since the early 1990s, when Niger first transitioned to democracy. Their paths have crossed in various ways, and they have been political allies and opponents at different points in time. Most recently, Hama Amadou supported Issoufou in the 2011 presidential run-off against Seyni Oumarou, but fell out with Issoufou in 2014 [see earlier blogpost here]. In the past, the military has intervened three times – in 1996, 1999 and 2010 – at times of political crisis. In December 2015, the government of President Issoufou announced it had thwarted an attempted putsch. Some opposition leaders were arrested for their possible involvement and others after publicly questioning the veracity of the government’s claim that a coup had been in the works. The opposition has turned down Issoufou’s offer of joining the government and instead decided to boycott the legislature. When the newly elected National Assembly was seated on March 24th, none of the 53 representatives of member parties of COPA 2016 took up their seats in the 171-member legislative body. To heal the deep political divisions, there is clearly a need for if not a government of national unity, at least some initiative at dialogue, as also called for by CENI president Boubé Ibrahim upon announcing the run-off results. Moving forward, Niger would similarly benefit from greater renewal of political leadership within its main parties to bring in new blood and leaders free from a long history of mutual resentments. This entry was posted in Africa, Niger and tagged Niger, political divisions, presidential election on March 28, 2016 by Sophia Moestrup. The Speaker of the National Assembly in Niger, Hama Amadou, has left the country after the legislature authorized his arrest for involvement in a baby trafficking case, despite his parliamentary immunity. After first traveling to Burkina Faso, Hama Amadou has left the continent for France, transiting via Belgium. Prior to leaving, he contested the right of the bureau of the National Assembly to authorize his arrest by the police and appealed to the Constitutional Court to interpret article 88 of the Constitution. Feeling ‘threatened by the state,’ Hama left Niger before the Court could render its decision. A former ally of President Mahamadou Issofou, Hama has become the president’s likely chief opponent in the 2016 presidential poll. The Speaker’s legal push-back is the latest example of a political tradition in Niger established since the first transition to democracy in 1993 – to request the Constitutional Court to clarify and interpret gray areas in the constitution; to serve, in a sense, as arbiter between contending political forces in their reading of the constitution (see earlier posting here, on a dispute regarding elections to the National Assembly bureau). In the present case, the Prime Minister requested authorization by the National Assembly bureau for the Speaker’s arrest and questioning by the police. The bureau obliged, with a sufficient quorum despite the walk-out by 6 opposition representatives. However, while article 88 of the 2010 Constitution enables the bureau of the National Assembly to authorize the arrest of a deputy while the legislature is out of session (as is currently the case), it is silent on the procedure for lifting a deputy’s immunity during an inter-session. The bureau of the National Assembly cannot authorize the arrest of a deputy before the immunity has been lifted. This whole affair started with a series of newspaper articles appearing in the local press in January 2014, alleging the existence of a baby trafficking ring in which prominent Nigeriens were implicated. Interpol got involved and in June of this year, 17 people (of which 12 women) were arrested on suspicion of buying babies from ‘baby factories’ in Nigeria and claiming them as their own biological children. The trafficking network allegedly involves middlemen in Burkina and Benin. In Niger and other countries in the region, there is social stigma associated with being childless and limited options for fertility treatment. The people arrested included Hama Amadou’s second wife, as well as the wife of the Minister of Agriculture, Abdou Labo. Minister Labo was himself arrested on August 23. Labo is a dissident from the opposition party CDS of former President Mahamane Ousmane. His arrest is an embarrassment for the government and appears to undercut claims that the baby trafficking scandal is a political maneuver to eliminate Hama Amadou as a challenger in the 2016 presidential poll. The affair happens in the context of persisting tensions between former ally turned opposition leader, Hama Amadou and the parliamentary majority, backing incumbent President Issofou. The majority has tried for months to impeach Hama, without having the sufficient two thirds majority votes among the deputies required to replace him as Speaker. By leaving the country, Hama has in effect removed himself from the position. What are the legal and political implications of the Speaker vacating his position? A preliminary reading of the Constitution (article 89) would indicate that the National Assembly must hold an extraordinary session to elect a new Speaker. The opposition will, however, likely contest the extent to which the Speaker position is actually vacant, given the pending case in front of the Constitutional Court. The country could thus be in a legal limbo until the Court renders its decision, with the vice-president of the Assembly serving as Interim Speaker. Meanwhile, the opposition has rallied behind Hama Amadou, accusing the government of witch-hunt. It remains to be seen whether Hama Amadou will succeed in clearing his name ahead of the 2016 presidential race. The government of Mamadou Issoufou seemingly has the best cards in hand. The government can stand back and let justice run its course. In contrast, even if Hama is found innocent, leaving the country while his wife remains imprisoned could hurt his image as a statesman. This entry was posted in Africa, Niger and tagged Constitutional Court, Hama Amadou, Mamadou Issoufou on September 2, 2014 by Sophia Moestrup. The National Assembly in Niger is gripped by stalemate. The National Assembly speaker Hama Amadou (from the opposition party Lumana) and the legislative majority (supporting President Mamadou Issoufou of the PNDS) have requested that the Constitutional Court step in and resolve a number of procedural issues currently blocking the election of a new legislative bureau. In the meantime, legislative business has been at a standstill for the past several weeks. What is the issue? Hama Amadou, leader of the Lumana party and a former ally of Issoufou, was elected to the chairmanship of the National Assembly as a result of inter-party agreements in the lead-up to the second round presidential poll in March 2011. However, when Issoufou proceeded to a cabinet reshuffle in August of last year, inviting members of the opposition party MNSD to join the government, Hama claimed he had not been properly consulted and withdrew his party from the ruling coalition (see earlier posting on that development here). Hama retained his position as speaker, however. The MNSD members who accepted to join the government were meanwhile disavowed by their party. Tensions have mounted within in the legislature over the past several months, as members of the MNSD crossed the aisle to join the PNDS and its allies, with the opposition accusing the government of buying their allegiance. In total, 12 opposition members of parliament (MPs) joined the 58 MPs from the majority to give Prime Minister Brigi Rafini a comfortable majority confidence vote (70 out of 113 seats) in November, 2013. Though more MPs have since crossed over, the majority is still short of the 2/3 legislative majority (76 seats) required by the Nigerien constitution to unseat a sitting speaker. So Hama has stayed on. Disagreements around the renewal of the National Assembly bureau which should have been finalized in April have now brought legislative business to a halt. While the speaker is elected for the full five-year legislative term, the other members of the bureau have to be renewed every year. The dissenting MNSD MPs have aligned with the majority MPs to deny the MNSD-candidate put forward by his party sufficient votes to be elected to the 2nd vice-president slot. The MNSD dissidents claimed they were not consulted. Similarly, the Lumana-candidate for the 3rd vice-presidency failed to get elected. Hama Amadou has set up a working group composed of five MPs from the majority, five from the opposition, and five from the “dissidents,” to see if a consensual solution could be found to the nomination of candidates for the two positions on the bureau still left vacant. However, the working group appears to have hit an impasse. Meanwhile, the majority MPs have asked the Constitutional Court to remove Hama from the speaker position for failing to respect the legislative rules of procedure and the constitution. The situation has come to a head this week, with opposition MPs requesting that the Constitutional Court impeach President Issoufou for failing to fulfill his mandate. Among other complaints, the MPs accuse Issoufou of having orchestrated the legislative stalemate by seeking to influence the choice of opposition MPs to be represented in the National Assembly bureau. Clearly, the ‘cohabitation’ within the National Assembly between an opposition speaker and the majority MPs is not working well. Will Issoufou decide to dissolve the legislature, as a way out of the impasse? He may fear a similar outcome to what former President Mahamane Ousmane experienced in 1995, where fresh legislative elections failed to produce the desired legislative majority and forced a period of cohabitation on him. That highly conflictual cohabitation was a direct contribution to the January 1996 military coup. This entry was posted in Africa, Niger and tagged Constitutional Court, Impeachment, stalemate on May 16, 2014 by Sophia Moestrup.